The BEST Veggie Burgers In Town! My FAVORITE restaurant in Toronto is Fresh. It’s a Vegan restaurant and before you can say “ew cardboard and grass”- I can promise you this is the most amazing “healthy eating” you will find. Even my carnivorous partner and friends happily eat at this place. I just spent 2 weeks in Toronto during the Toronto Film Festival and I think I ate there everyday (along with all the hollywood celebs in town! Some celeb spotting definitely goes on at this healthy joint!). Green juice for breakfast and everything else on the menu for lunch and dinner. Having a restaurant like this around the corner, with every item on the menu being super healthy, makes it easy to eat well. You can basically order anything from the menu because you know it will be good for you. Unfortunately they only exist in Toronto (for now) so a great way to have easy access to healthy food quick, is to make it yourself and make extra so you can freeze it. My favorite veggie burger is made fresh there daily. 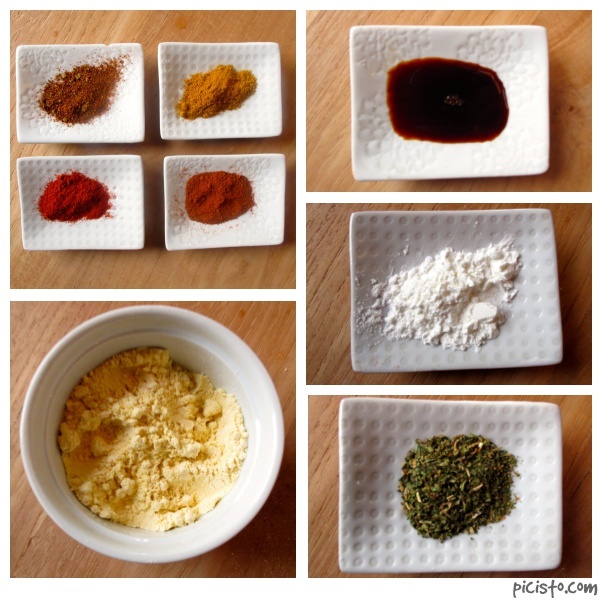 I have recreated it at home, somewhat following the recipe, yet tweaking it a long the way. These burgers are BBQ ready and are actually vegan, however a sneaky slice of cheddar never hurt anyone 🙂 I’ve made about 6-8 out of this batch, so the rest I have wrapped individually and stored in the freezer. Just take one out a few hours before you are ready to eat and you’ll have fresh, homemade, HEALTHY, burgers ready to grill. Cook the grains. Give all of the grains a good rinse, then add to a pot and cover with the water/stock. Bring to a boil and then reduce and cook on low for about 20 mins or until the water is absorbed. 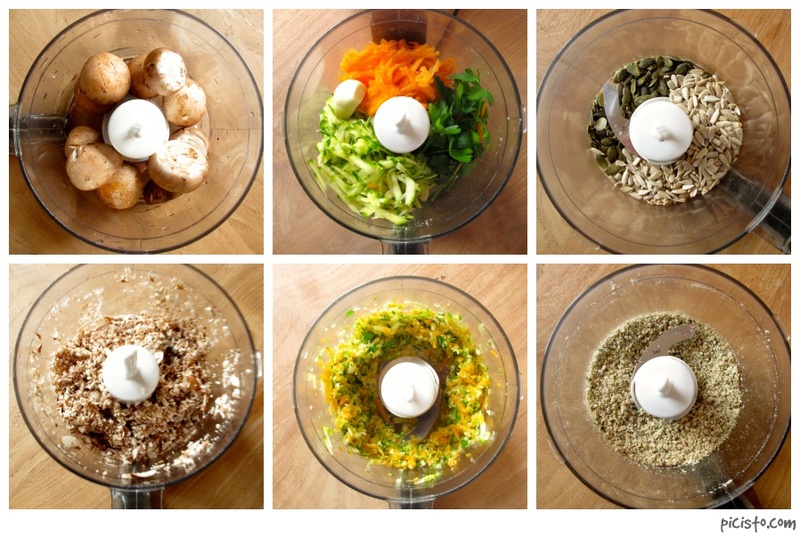 Three step food processor process: chop the mushrooms, then the seeds and then the vegetables all separately. In a pan over medium heat add a splash of oil. Once hot add in the mushrooms + the spices and tamari. Cook for about 5-7 mins. 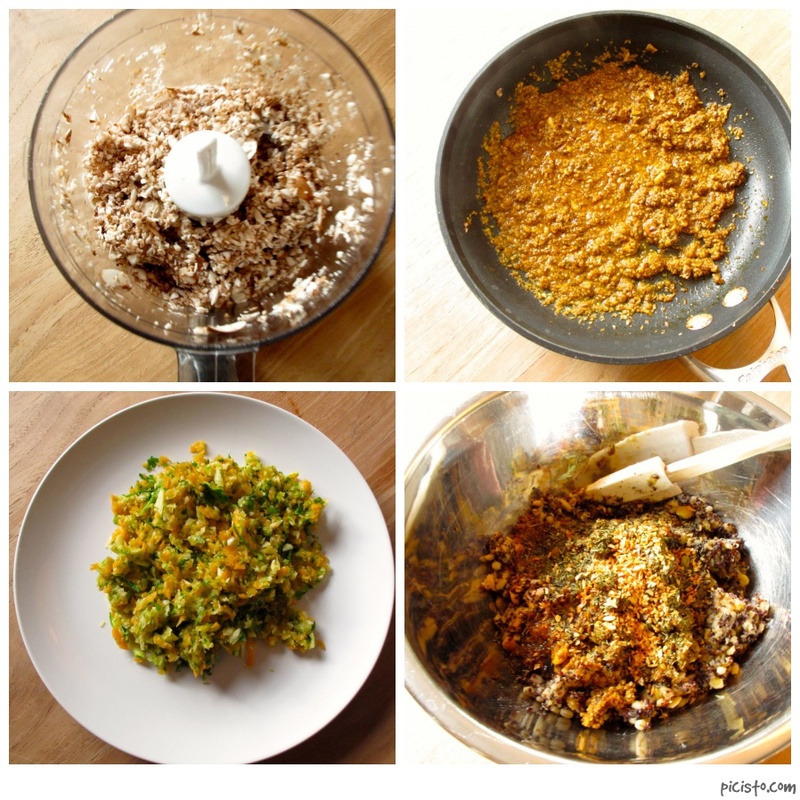 Remove mixture to a large bowl, add in the corn flour and corn starch + the chopped vegetable mixture. S&P. Add the cooked grains to the mixture and stir together. 6. Time to get those hands dirty! Set out 2 rectangles of parchment paper. Begin to form balls a bit bigger then a golf ball in between your (clean!) hands and once perfectly round, smush down carefully to form a burger patty. NOTE: if the mixture is too wet and sticking to your hands like crazy, add in a bit more flour, if the mixture is too dry and crumbling apart add in a bit of water. 7. Make about 6-8 patties. Place side by side on the parchment paper and place the other piece over top. Use scissors to cut in between (3 pieces) and fold over so you have 2 patties wrapped up together, but with paper in between so they don’t touch. These can be frozen for up to 1 month. 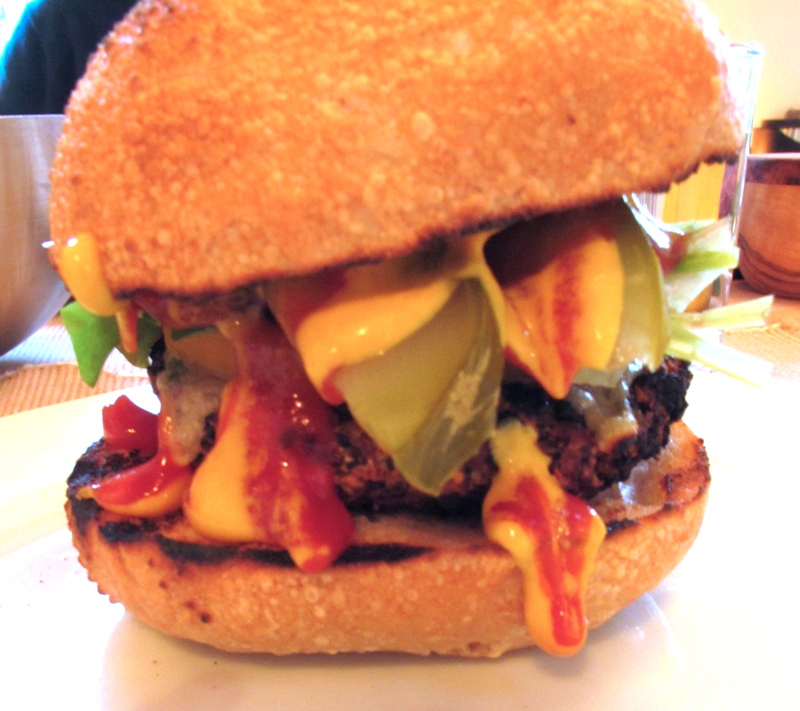 This entry was posted in BBQ, BLOG, RECIPES, VEGAN and tagged bbq, fresh, healthy, homemade, model diet, toronto, vegan, veggie burgers on September 27, 2013 by Kelly O'Dell.